The Embassy Suites Phoenix-Scottsdale is located less than a mile from the Paradise Valley Mall. The hotel contains several great amenities that will make staying in Scottsdale very comfortable, including an outdoor swimming pool, a 24-hour refreshment center, and a golf-course. The Embassy Suites Phoenix-Scottsdale is just a short drive away from the Scottsdale Center for the Arts, Downtown Scottsdale, and Metrocenter. As you enter the Embassy Suites Phoenix-Scottsdale you will be greeted by the friendly, multilingual staff. The hotel lobby has a refreshment center and offers a complimentary breakfast every morning. The hotel also has an on-site restaurant, Tatum’s Restaurant, which serves a wide variety of food. 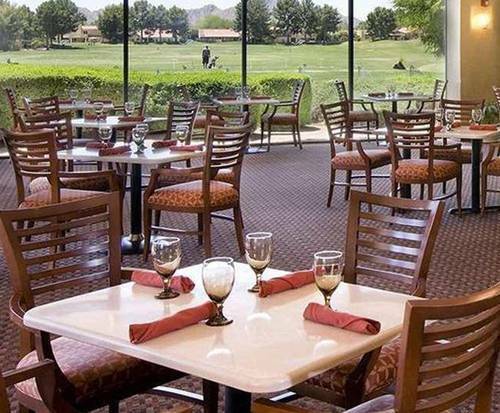 The Embassy Suites Phoenix-Scottsdale is located adjacent from the Stonecreek Golf Club, and the hotel has several gorgeous views of the golf club. In addition, the hotel has a fitness center and an outdoor swimming pool. For guests who are conducting business, the Embassy Suites Phoenix-Scottsdale offers a business center that has faxing services, free high-speed internet, and printing services. In addition, the hotel offers a free shuttle service to the airport. 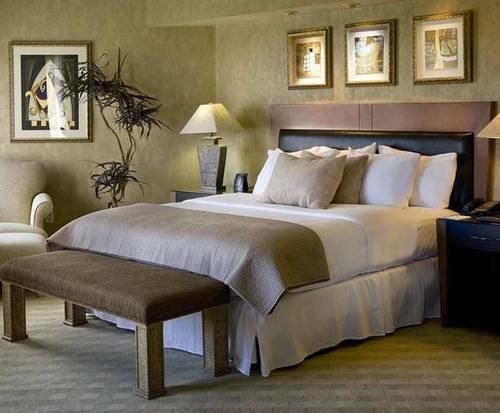 The Embassy Suites Phoenix-Scottsdale has 270 rooms that have several great features. Every room comes equipped with complimentary high-speed internet, cable, a refrigerator, and a microwave. The suites in the hotel contain a separate living area, a wet bar, a Keurig coffee brewer, an armchair and well-lit work table, and great views of the Camelback Mountains. The Embassy Suites Phoenix-Scottsdale is in a great location in Scottsdale and less than 8 miles from the Camelback Mountains, downtown Scottsdale, and North Mountain Park.